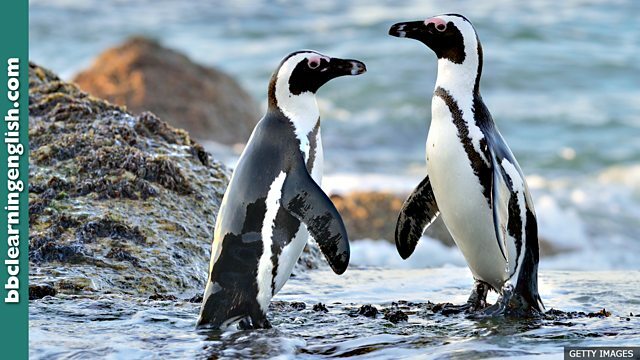 Female penguins have being getting stranded hundreds of kilometres from home on South American coasts. Now scientists have discovered why. Penguins often travel together to avoid becoming ______. Scientists think they may have discovered why thousands of penguins who get stranded on South American coasts are predominantly female. When researchers tracked a small number of Magellanic Penguins from breeding grounds in Patagonia, they found that the females generally travelled further afield in search of food, with many reaching as far north as Uruguay. • The penguins left the land to venture into the sea in search of food. • We plan to increase annual profits by venturing into the Asian market. • Long car journeys can exhaust children. • Can we stop walking for a while? I’m exhausted! • There’s always rubbish washing up on this beach! We need to clean it! • The sailors were rescued after their boat washed up at a nearby port. They ______ into the Amazon jungle to try to find a remote monument. Which tense do we use for speaking in general or truth? Long car journeys ______ children. They often fall asleep. Parts of the crashed plane ______ on the shore a month after the accident.